One of the first words my students learned this year was metacognition or thinking about your thinking. (I was pleased to see that some of my 3rd graders from last year remembered it!) I am a huge fan of Mosaic of Thought and Strategies that Work and use the Comprehension Toolkit frequently in my classroom to model and teach the comprehension strategies. I always start the year by introducing all the strategies using kid friendly language (connecting, guessing, picturing, wondering, noticing, and figuring out). It's amazing how quickly they are able to jump in the conversation with these simple sentence stems. After a quick introduction of each strategy we start reading books together and sharing our thinking. Sometimes I have my kids write in their reading journals, sometimes they write on post-its, sometimes they use organizers from the Comprehension Toolkit, and sometimes we just listen, think, and share about the story. Here is the anchor chart we made last week. We are question askers for sure! I have found that book choice definitely matters when getting kids engaged and thinking deeply. The following books are classroom tested and approved to get your students thinking, reacting,and listening to their inner voice. They will soon be interacting with these engaging texts and thinking about their thinking! 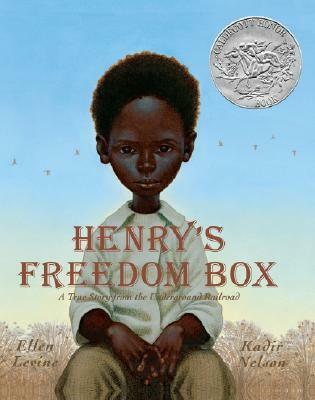 A true story of a slave who looses his family and is desperate for freedom. 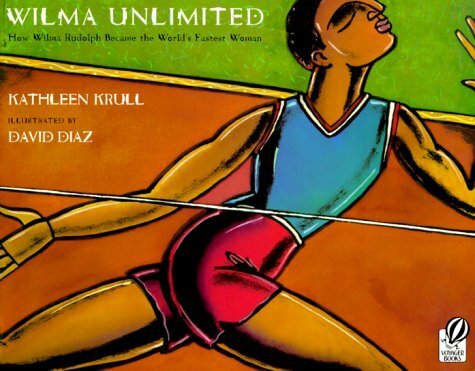 A true story of how Wilma Rudolph overcame polio and became a world famous runner. 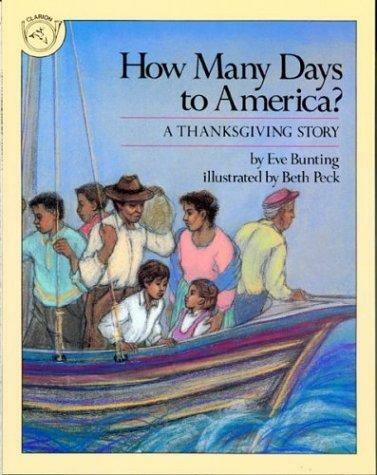 How Many Days to America? A fictitious tale about a family who flees Haiti on the verge of war and goes to the United States. A historical fiction story of two orphans put on a train and looking for a new family. Obviously, I like true stories or historical fiction. And, you can't go wrong with Eve Bunting. I like stories that have some meat. :) All of these strategies can be easily applied to these books and always interest the reader. I encourage my students to react to the text and include that in their notes. I think reacting to the text is the forgotten strategy...don't forget to encourage you students to respond to the text with "Oh no!" and "That's horrible!" and "What? Are you kidding me?" because then we know they are understanding and synthesizing the story. I'm always amazed how quietly they sit to find out what will happen to these incredible people and the challenges they have had to overcome. Great discussion starters! 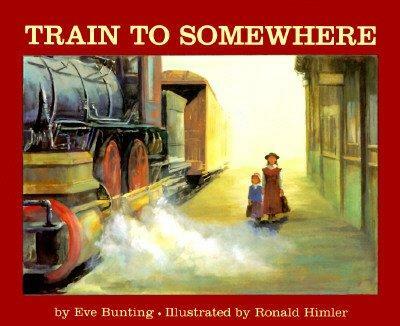 What other books have you enjoyed using to teach metacognition? Please comment below to share your own good advice. I will post more book recommendations for individual strategies soon. I love Eve Bunting! Her books are timeless and so thought provoking. She is very inspiring! Please change the spelling on your anchor chart to "THEIR" instead of "THIER"! Thank you for sharing these great ideas and the resources. I love visible thinking strategies and using "thoughful" words and questioning in my classroom. It is my goal to collect as many as I can so that I can post them, model them and embrace them in our daily conversations. Besides the ones your posted on your anchor chart I like stems such as: "I use to think, but now I think", "What makes you say that? ", "If you did know what would you say?". I am a big fan of Strategies that work, Reading With Meaning, and Tanny McGregor. How long do you stay on one comprehension strategy before moving on or do you make a year long plan and do it month by month? Could you do a post on that? Thank you for taking a moment to share your thoughts!